Samsung has lately come up with the Galaxy Pocket Neo and Galaxy Star smartphones that are powered by Android 4.1. There were lots of rumours in the market earlier that these smartphones were to be launched either at the Mobile World Congress or somewhere around May this year. However, Samsung has proven these rumours wrong and has officially announced these smartphones. Talking about the Galaxy Pocket Neo, it comes equipped with a 512 RAM and 850 MHz processor. Powered by Android Jelly Bean, it boasts a 3-inch QVGA TFT LED display, a 1200 mAh battery, expandable 4GB internal storage and measures 104.95 x 57.8 x 11.8mm in dimensions. Other features include a 2-megapixel camera at its rear end, USB 2.0, Bluetooth 4.0, A-GPS and Wi-Fi 802.11 a/b/g/n. 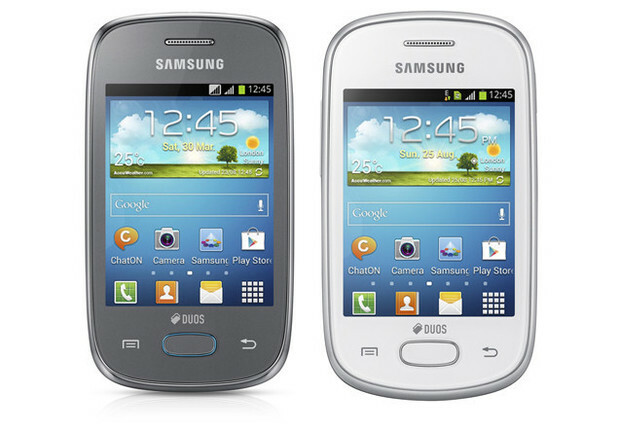 Coming to Samsung Galaxy Star GT-S5282, this smartphone boasts 1GHz processor coupled with 512 MB RAM. Similar to the Pocket Neo, its 4GB internal storage can be extended up to 32GB using a microSD. The smartphone is sure to get more eye balls rolling with its unique UX interface. Many of its other features are similar to the Pocket Neo. An interesting feature offered by both these is the ‘Always On’ feature. Now, you do not have to miss any of your important calls while forwarding these to the other SIM. The launch dates of these smartphones are yet to be announced, but be ready to shell out as much as 150 Euros to own any of the two. Both the smartphones have support for 3G & Wi-Fi connectivity. However, we will still have to wait and watch how these smartphones perform once they are out in the market. Best 3G cell phones in $300-400 range?